My student celebrated the completion of the 30 piece challenge by designing and recording the CD all by herself. 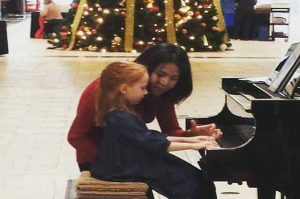 She worked hard to master more than 30 piano pieces. The music in the CD has the sweet memory of her piano journey in 2016.